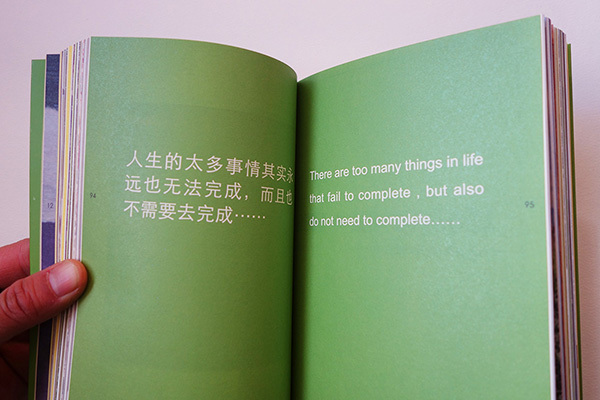 * This interview was published in the book To Start from Art by Shanghai Joint Publishing house in 2014, author: Luo Fei. Luo Fei: I think that you are a unique artist in Yunnan. You paint oil paintings, carry out research and engage in certain cross-disciplinary, cross-cultural art projects. 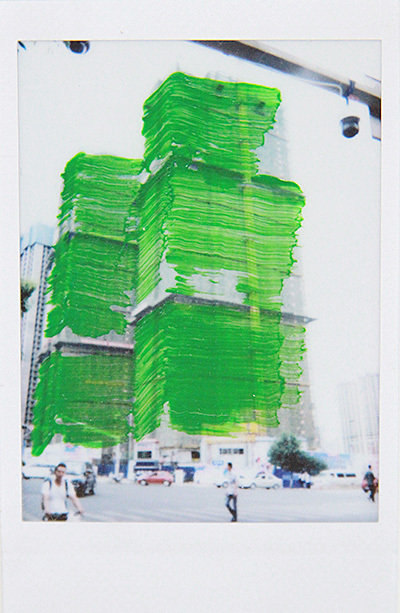 I remember when I first arrived in Kunming in 2000, you were making installations. Gao Xiang: Right. Before 2000, I created a series of installations. I wanted to make transparent artworks connected to Ming dynasty furniture, which I did using Plexiglas. I was very enthusiastic about installation art at the time, but the artworks cost a lot to make. One table, including materials and labor, cost nearly 20,000 yuan. Luo: Did you sell it? Gao: It has remained in my studio (laughs). 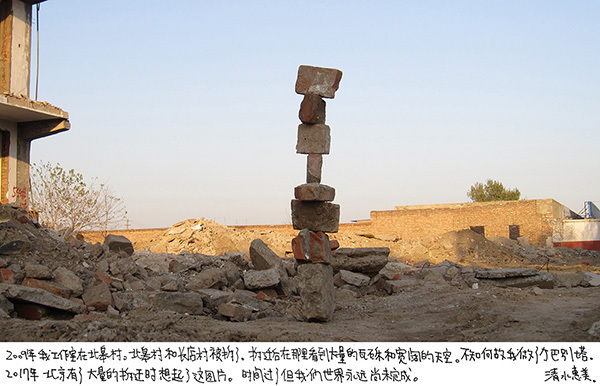 Luo: At the time, there were quite a few Kunming artists engaged in installation and performance art, such as Xiang Weixing, Zhang Chongxia, Ning Zhi and Jiang Jing. It was around the year 2000 that performance and installation art were being spread around China, and a lot of young artists were drawn in. It seemed as if using these mediums gave the artists a critical, independent attitude. Gao: I was very enthusiastic at the time. There was a sense of freshness to it. That experience was very important, and it provided me with inspiration in my painting, spurring me to deal with the relationship between space and painting, with such approaches as painting on Plexiglas. 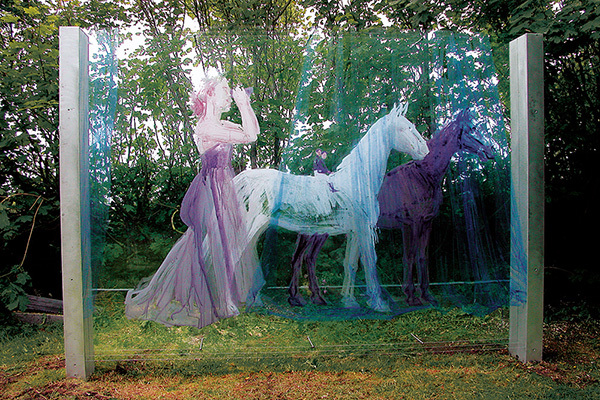 Luo: Since 2005, you have been painting a series of horses on round pieces of Plexiglas. Gao: Right. That is in order to explore painting in space. Making installation art brought me in contact with the third dimension, and so I started wondering whether or not painting could also touch space, rather than merely being hung on a wall. I had a good opportunity in 2005, which was to travel to Kirstiansand in southern Norway. 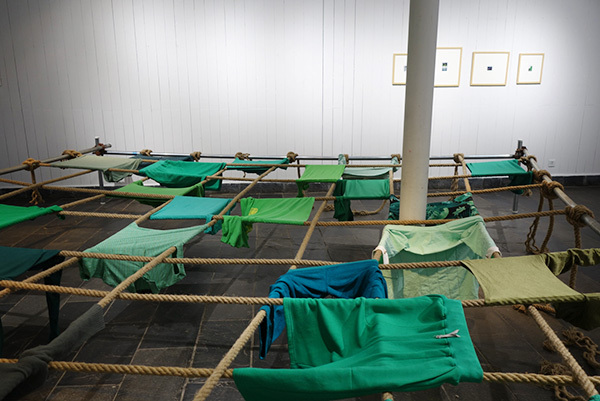 It was a contemporary art event to celebrate the centennial of Norway’s independence. Artists from ten countries participated, and I was recommended by Nordica. The organizer wanted us to create outdoor artworks, and I was thinking I could paint on Plexiglas, that it would be really cool to integrate it with the plants in the garden and the sea in the distance. I gained the most that time from working for long periods with Western artists. I learned a lot about Western contemporary art by talking and working with them, and that gave me a true understanding and feeling for their conceptual and performance artworks. Luo: How do you decide what contemporary art is? Gao: I think there are many basic factors in contemporary art. It can be judged in terms of time or subject matter, or in terms of the idea of the artwork or the medium used. There are at least three or four comprehensive factors through which one can judge whether or not something is contemporary art. Luo: I remember you painted night scenes for a while. Gao: Yes, it was called Why Have Night Scenes Become so Alluring? I painted it between 2001 and 2003. I painted this series of night scenes at the same time I was making installations. There were about twenty of them, and they weren’t very big. I was doing a lot of bar-hopping at the time, and I caught a certain feel for the scenes of the night. I wanted to express it. Luo: How did you end up painting horses? The horse is a classic form in Chinese traditional painting. Gao: Right. Many ancient and modern Chinese painters have painted horses, painters such as Xu Beihong and Li Gonglin. It was by chance, however, that I ended up painting horses. One day, when I was painting “dolls,” I suddenly added a horse to the picture. I think it was a subconscious experiment. It felt mysterious. I didn’t really know anything about horses at the time; I was just trying to create the atmosphere of the painting. Of course, now I have painted many of them, and my horses have taken on symbolism. Sometimes it is femininity, sometimes it represents nature and sometimes myself. Luo: In the Dolls series, we always saw the figures of “big women” together with “little men.” I don’t think we ever saw “little women” with “big men.” Why is that? Gao: Actually, much like my decision to paint horses, I didn’t really think about it. It’s just that there were a few times that I painted the men a bit smaller, and it felt interesting. There was this sense of freshness that is difficult to describe. I then started painting the men smaller and smaller, and it was fun. It fit with the feeling I was pursuing. Luo: What was the feeling? Gao: Very comfortable, very harmonious, but with latent discord and contradiction. 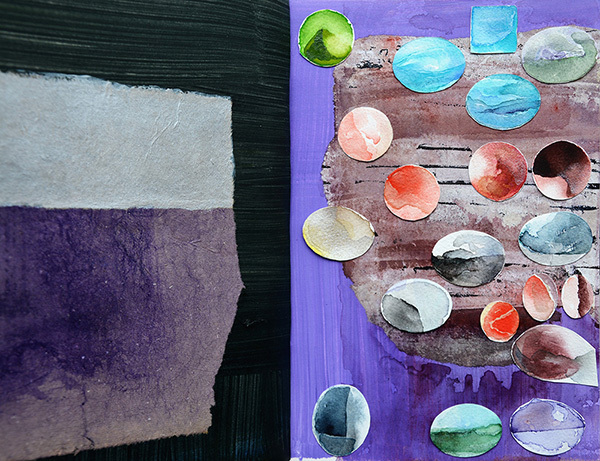 All of my works feel very comfortable and harmonious in terms of color. 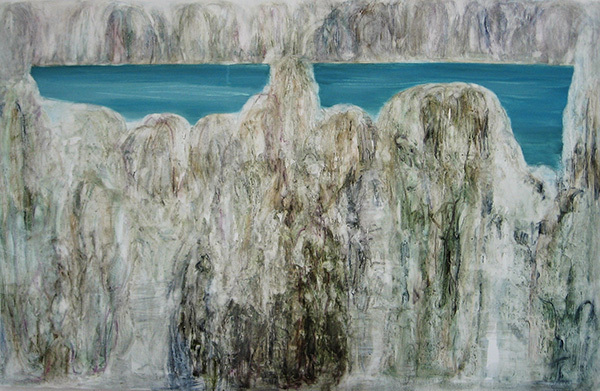 Luo: There is a feel to your paintings that is poetic, dreamlike and somewhat dramatic. How do these three come together? 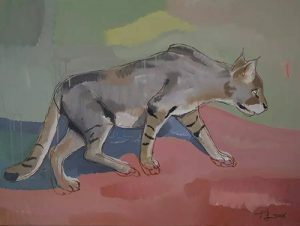 Gao: I think it may be connected to my life experience or my artistic experience. For instance, the sense of theatre or drama is connected to the Southeast Asian art project I took part in from 2002 to 2004 – the Mekong River Project. Luo: Did you do stage design? Gao: This was a project connected to the National Theater in New York and sponsored by the Rockefeller Foundation. 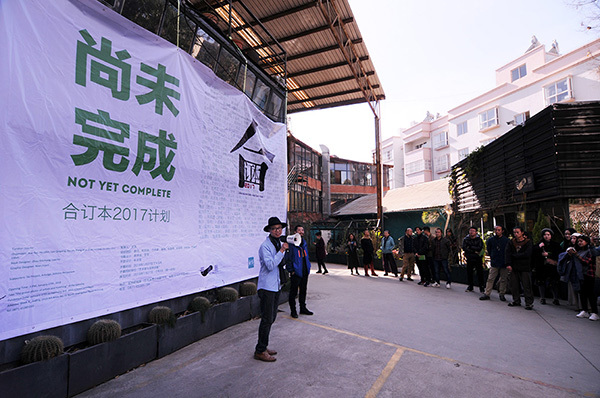 Each installment brought together about twenty artists from various regions and fields such as dance, music, cinema, theater, choreography, folk puppetry and visual art. For instance, in 2004, I went to Cambodia for a month with famous Yunnan dancer Wen Hui. Luo: What was your role in this? Gao: They didn’t actually care what I did. I ended up being a part of the performance. Gao: I can perform if I want, but I don’t think it’s one of my strengths. At first, I was having a lot of trouble, thinking about how to integrate painting into a temporal artwork, so I didn’t know what to do. Later, when they performed, I would sit to the side and paint, using light to project the painting onto a big screen. My painting would change to the music, the dance and the story, so that they would fuse together in time. These experience have extended onto my painting and now play a role in it. Luo: Your art has been exhibited internationally quite a bit in recent years. What do Westerners think of your art? Gao: They mainly think it’s interesting, seeing something they don’t often see. 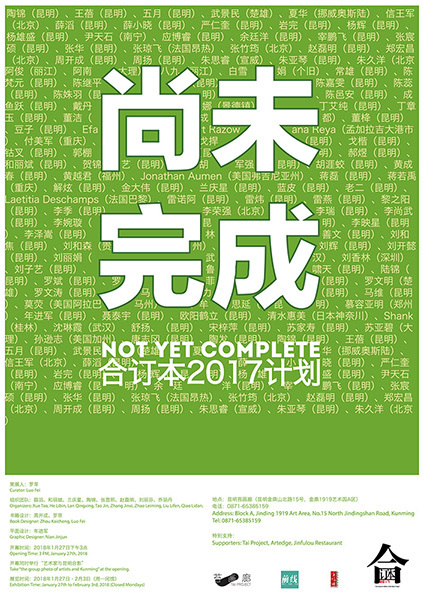 Luo: The artist list for your last exhibition in Canada included the Gao Brothers, Zhang Huan, Gu Wenda and Cao Fei. Their works contain clear social themes. Gao: Right. 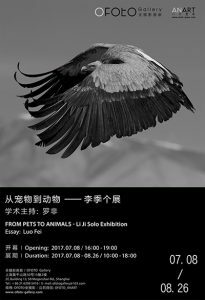 Last year, a group exhibition I took part in at a Paris gallery included works by Ai Weiwei, Cai Guoqiang and Sui Jianguo. Cai Guoqiang’s work is different, but the other artists’ works have heavy sociological elements, touching directly on social issues. The Canadian and French curators thought that my Dolls series contained concealed social issues, such as issues about gender status or psychological gender balancing. My artworks actually aren’t so direct. They are more of a psychological response and experience. The other artists might strike at issues more directly, while I propose my individual mental perceptions. Luo: The attitude of your artworks is not so direct, and focuses more on visual perceptions such as aesthetics. Gao: This is perhaps connected to my experiences learning art. I am obsessed with the ontological aspects of art, for instance artistic form, colors, modeling. Their abstract visual effect can influence human perception and emotion. Of course, this has been emphasized in modernist era artworks, but I think that this is one of the most alluring aspects of art, something that is close to the power of visual art itself. It is very important to me. Luo: Compared to the conceptual, you are more interested in aesthetic experience and visual pleasure. Gao: I think that the perception of artistic form can allow the artwork to speak for itself. Actually, something I have always wanted to do is see if I can fuse the aesthetic experience, conceptuality and sociology so that they speak together. Luo: Who would you say is a good model for this? Gao: In Western contemporary art, there is Mimmo Paladino, Enzo Cucchi, Anselm Kiefer and Luc Tuymans. Their work has achieved an appropriate integration between their experiences of contemporary society, cultural traits, personalized artistic concepts and artistic language. When there are only “concepts” without visual transformation or highly developed artistic language, then the resulting artworks are mere propaganda posters. If they are just textual concepts, then it is better to let the philosophers and sociologists write them. 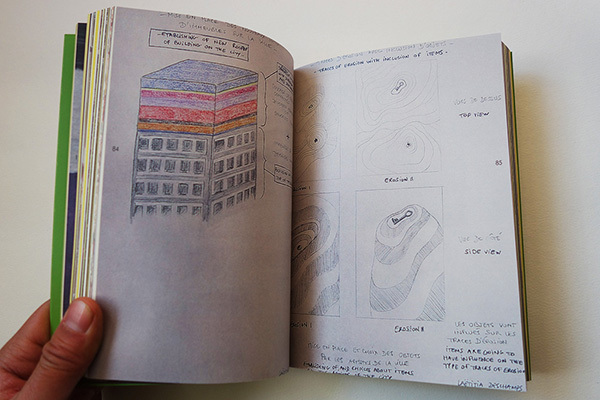 The artist’s work should employ the appeal of visual language. Luo: Is your focus on artistic ontology what led you to research Morandi? Gao: Yes. His artworks are very important in terms of the ontology of art. Of course, he is also conceptual. I think that he is a rather successful modern artist in this regard. For instance, most people focus on the color, forms and linguistic rendering of the bottles, but through these, you discover that his concepts are connected to his religious faith. He was a very pious catholic. He went to mass every Sunday. He lived a simple life, like that of a monk. Luo: This is a lot like the traditional monastic painters of China. Gao: Yes, but because of their different religions and worldviews, their starting points and resulting expressions were different. Morandi was more directed at God in the sky. China’s monastic painters were connected to Daoism and Zen, aimed more at nature, the fusion between man and nature or the wanderings of the individual. Morandi’s painting was aimed directly at God. These were highly religious paintings for modernism. Luo: Did he carefully collect those bottles? Gao: He did. He personally purchased over a hundred bottles and jars. When he brought them home, he would sometimes treat them. For instance, he would take a chocolate jar, and treat it according to the color he wanted, perhaps painting it white, blue or brown. Luo: Were those bottles from his own time, or were they antiques? Gao: They were quite normal, water jugs and chocolate jars. Luo: This is quite different from Chinese literati. Literati figures had a tradition of collecting various types of vessels, such as porcelain vases and bronze vessels, and they cared a lot about their eras and origins. Gao: I think that Morandi was actually a lot like Chinese literati painters. Some of the more refined literati painters paid much attention to the mundane, discovering truths within ordinary things. This is quite like Zen. Gao: For instance, Bada Shanren and the Four Monks all painted very ordinary things around them such as squashes, vegetables, lotus flowers and birds. The things Morandi collected were very normal, part of ordinary life. Luo: We can also see from Morandi’s living arrangements that he led a very simple life. Gao: It was very simple, even for his three sisters. I have gone through their closets, and none of them owned a single brightly-colored dress. Few people visit his old home, and I was the first Chines person to do so; I may be the last as well (laughs). The house was very simple, no different from that of your average farmer. When he built this house in 1956, however, he was already a very rich man. He could have lived a very luxurious life. He had no material desires at all. When Museo Morandi was sifting through his library, they found many blank checks among his books. These were given by the buyers of his paintings. He could fill these checks out however he pleased, within certain limits, and redeem them immediately, but he was using them as bookmarks (laughs). Luo: Within Catholic ascetic traditions, there is the belief that simplicity is wealth. The simpler your external life, the richer your inner life. Gao: His later studio was a bit bigger, but it was still only 40 square meters. His earlier home in Bologna was only nine square meters, including his studio. His material life was very simple, but he enjoyed great spiritual wealth. Luo: Let’s get back to your artworks. I think that your art has a certain Eastern quality. Gao: Thank you for that complement (laughs). To me, that is quite a compliment. As a student and later as an artist, I have visited many Western countries, and I gradually came to understand that I must seek out inspiration from Eastern traditional ideas or aesthetics in order to create artworks with originality. Luo: What experiences does this inspiration draw from? 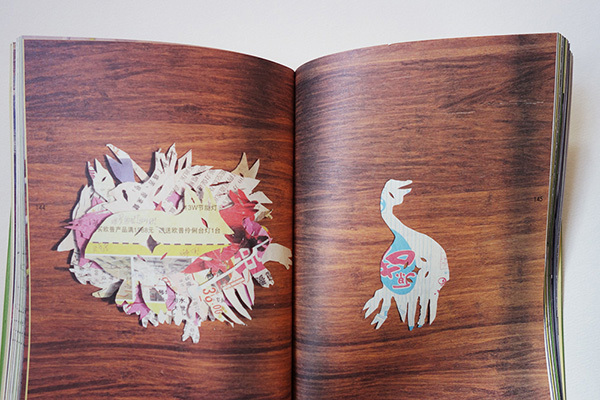 Gao: The first source is aesthetic ideas. For instance, in traditional Chinese painting, you often find very lofty metaphysical meaning. Also, I draw from the figurative schemas of traditional Chinese art. These two things are both quite far from Western classical, modern and contemporary art. I think this is a good thing, particularly in this era of globalization. Without this distance, we would all become the same, losing the artistic value that is rooted in individualization. That is a fundamental view for me. From the East, I seek out forms, perceptual methods and inner spirit that differ from those in the West. Luo: Give me an example. Gao: For instance, Chinese painting focuses a lot on emptiness, which is quite different from Western aesthetics. Chinese people view the blankness in the picture as the sky or as water, but in reality it is just blankness. Westerners with no experience of Chinese traditional painting may think that it is an unfinished painting, a sketch, and that the blankness has no meaning. The Eastern tradition also places a lot of emphasis on aesthetic experience that transcends reality. For instance, very few Chinese paintings of the last 2000 years depict war scenes, but we all know that China was no less warlike in this period than any Western nations, with battles of great size and brutality that produced profound memories. The Chinese never expressed these brutal memories. Their expressions are of ideal states, even fairy realms that transcend this suffering. Luo: You are saying that this spiritual mindset needs to be expressed in contemporary art. Gao: Actually, this Eastern transcendent state is particularly precious in our increasingly materialistic and ever-accelerating contemporary society. This was done long ago in Japan and Korea, so many Western critics believe that Japan and Korea are today’s inheritors of Eastern Zen aesthetics. For instance, the Japanese Mono-ha School approaches art from Zen philosophy. I think that Chinese contemporary art has paid little attention to this type of artistic path in the last twenty years. Luo: This is connected to the overall progression of society. Japan and Korea completed the modernist transition of their societies long ago. China overall is still in a pre-modern period. The greater backdrop determines how far an artist can go. Gao: I really agree with that. This is connected to the state of a society’s development. Of course, I’m not saying that any contemporary art that draws from Eastern philosophy is good, just that I think this path has value. Luo: Let’s talk about life. You’ve been working in both Kunming and Beijing over the past few years. What are your impressions of these two cities? Gao: I have a pretty big studio in Beijing, where I can paint large paintings. When I’m back in Kunming, I have a studio at the Yuan Xiaocen Museum, where I can paint smaller paintings. Beijing is China’s cultural center, and you can see world-class exhibitions and artworks there. But the natural environment in Beijing is very poor. It is very cold in the winter and very hot in the summer. Life is rough there. Kunming is very livable, very comfortable. You really feel like you’re living. But there’s a distinct lack of cultural exchange there. Beijing is a lot more vibrant. Luo: Do you think that you create better art in Beijing or Kunming? Gao: That’s an interesting question (laughs). I think that a little more than half of my best works are created in Beijing. Luo: It would seem that artists need pressure (laughs). Gao: Right. Beijing is full of passion, and it’s also constantly giving you stimulation and pressure. Luo: Thank you for giving this interview. I really enjoyed talking with you today. Xu Beihong (1895-1953), originally Xu Shoukang, was a Chinese modern painter and art educator. A forefather of modern Chinese art, Xu was known not only for his paintings of galloping horses but also for his ability to fuse Chinese and Western painting techniques to create a unique artistic style. Li Gonglin (1049-1106) was a painter in the Northern Song dynasty. His surviving works include Five Horses and Herding at Lin Wei Yan. 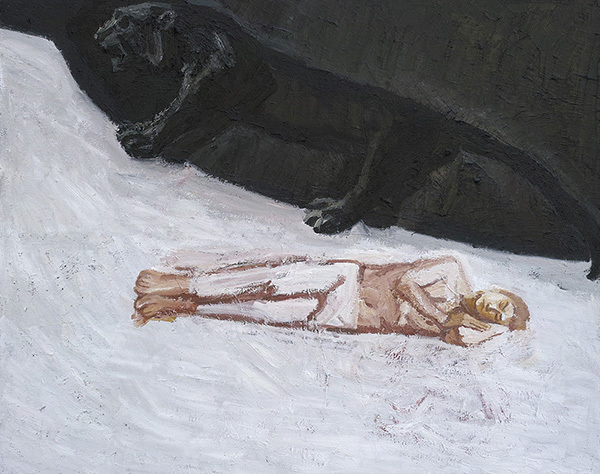 Gao Xiang, Quiet Observation of Space, People’s Fine Arts Press, 2011. This book researches the work of 20th century Italian painter Giorgio Morandi, seeking out the roots of his artistic style through analysis of his painting forms, artistic views and attitudes towards the world in order to assess the artistic value of Morandi’s paintings. Bada Shanren (ca. 1626-1705), born Zhu Di, was from Nanchang, Jiangxi Province, and lived during the late Ming and early Qing dynasties. Bada was a member of the Ming dynasty royal family and a famous painter, one of the “Four Monks” of early Qing dynasty painting. The Four Monks were four Buddhist monk painters from the late Ming and early Qing dynasty. All were adept at landscape painting and were highly expressive in their work. They preferred innovation over imitation. The four monks were Yuan Qi (also known as Shi Tao, 1642-1718), Zhu Da (also known as Bada Shanren, ca. 1624-1705), Kun Can (1612-1692) and Zhe Jiang (monk name Hong Ren, 1610-1664). Mono-ha was a Japanese school of modern art that emerged between 1968 and 1971. 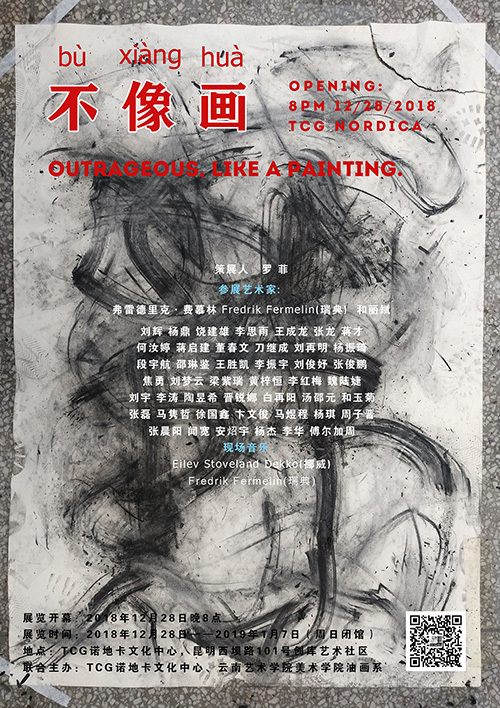 The Amsterdams Grafisch Atelier and TCG Nordica, an art center in Kunming (China) joined forces in a transnational project that, focuses on the interrelation between text and image, specifically between Dutch and Chinese poetry in translation and art works inspired by them. 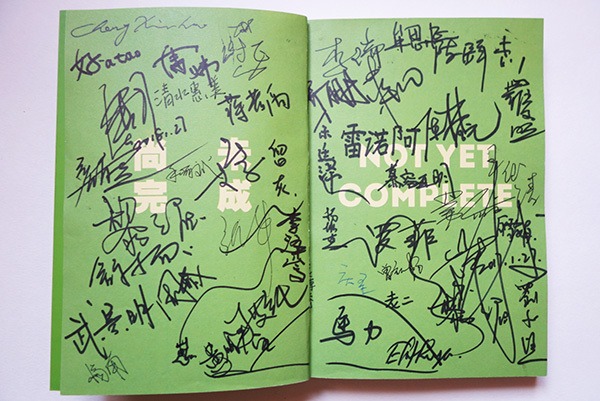 Six Chinese participants based their paintings and drawings on poems by H.H. ter Balkt , Hans Faverey, Chr.J. van Geel, Gerrit Kouwenaar, M. Vasalis and Ellen Warmond, translated into Chinese by Maghiel van Crevel and Ma Gaoming. Each of the six poems are enigmatic texts full of paradoxes and opaque meanings, that present an enormous challenge to the translator, at the same time providing the visual interpreter with ample space for a non-illustrative approach. Six Dutch printmaker/artists produced monumental prints inspired by poems of the famous contemporary Chinese poet, author, and filmmaker Yu Jian. “Staunchly unlyrical” and making his readers “see eternity in the most everyday and unexpected places” (Simon Patton), Yu Jian’s poems present their visual interpreters with the equal challenge of tuning into the foreign voice, searching for affinities, and keeping their own idiosyncratic vision. To facilitate comparison and analysis, all works are shown jointly with the texts that are printed on banners, forming thus an integral part of the exhibition. Both partners of the project stress the performative nature of the project by reading and performing the poetry at the opening and in separate programs. 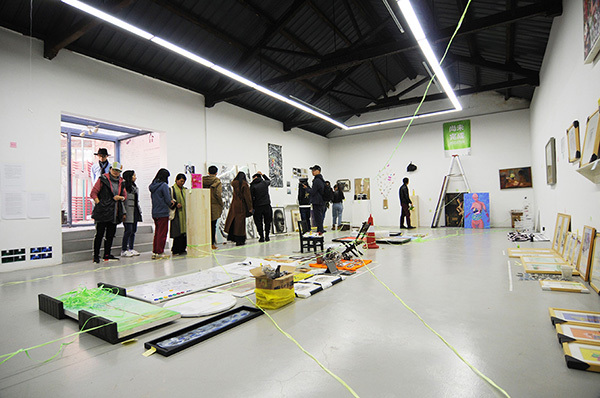 The initiative for the exchange came from Ursula Neubauer, an Amsterdam artist who had visited Kunming in the fall of 2012. The project has been worked out and coordinated jointly by Luo Fei, former director of TCG Nordica and Ursula Neubauer, representing the Amsterdams Grafisch Atelier. 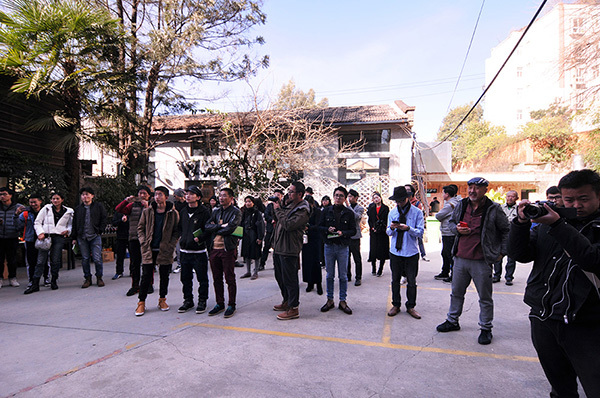 The event in Kunming took place, with great success, at the gallery of TCG Nordica between April 24-May 31, 2015.
from October 18 through November 1, 2015. The opening will include a performance. 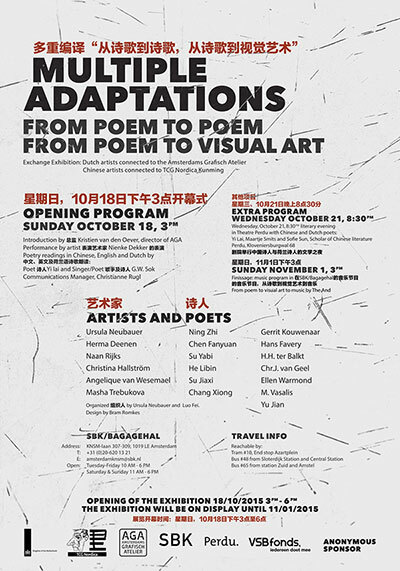 Speakers and readers are Kristien van den Oever, director of the Amsterdams Grafisch Atelier, Yi Lai, Chinese poet and literary scholar at the (Central China Normal University, Wuhan). G.W.Sok, singer and poet and Christianne Rugl Communication Manager. 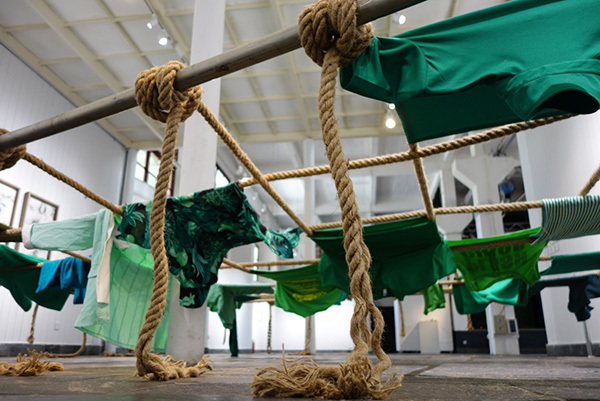 Performance artist Nienke Dekker will interpret two 2 poems of the exhibition. Sunday November 1 at 3 p.m. a closing music program, from poem to visual art to music by The And. 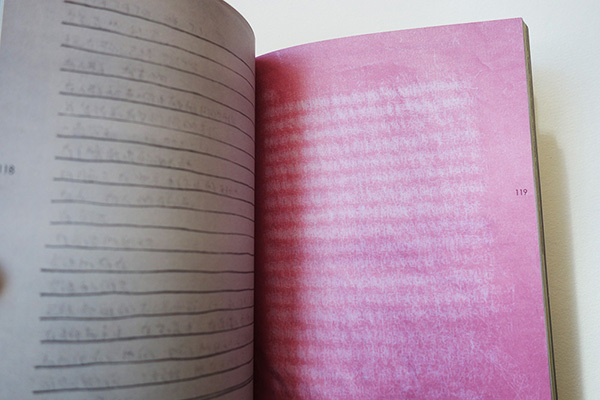 Perdu, centre for poetry and experiment, will present a related program on October 21. The participants of the panel discussion are Yi Lai, Maartje Smits and Sofie Sun. Opening of the exhibition: October 18, from 3 to 6 p.m.
Open on Tue thru Fri: 10 a.m. to 6 p.m. Sat.Za/Sun. from 11a.m. to 6 p.m. Reachable by tram #10, end stop Azartplein, by bus #48 from Sloterdijk Station and Central Station, by bus 65 from stations Zuid and Amstel.